Telecoms regulator Ofcom has vowed to crack down on the mis-selling of mobile phones after the failure of a voluntary code of practice in the industry. 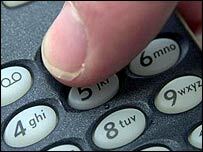 Ofcom says complaints have risen from 460 complaints a month to 700 since the voluntary code came in last summer. It will now take tough action to prevent cashback offers which fail to pay out and cases of false information offered when buying a contract. Firms that don't comply with the rules will be fined 10% of their turnover. Some of the largest mobile phone operators have welcomed the move, defending their conduct. "We think Ofcom should be tough on offenders but not burdensome on those that are trading responsibly," said O2 spokeswoman Emma Hart. Guy Middleton of 3 said: "3 has taken strong action over the past year. We believe our minimum business standards, introduced to protect customers in October last year, are the most stringent in the industry. "We would welcome similar standards being adopted across the industry as a whole." Cashback deals can be offered to customers as an incentive to sign up for new contracts. Customers are asked to pay for the handset up front with the promise of refunds in the future. But the small print has sometimes proved difficult to understand and sometimes customers are unable to meet the conditions. Some of the biggest losses for customers have come when retailers - separate from the phone companies - have gone bust before the money is paid out. By March last year, Ofcom was receiving 250 complaints a month about the deals, a half of all mobile phone complaints. In response, Ofcom compiled a voluntary code of conduct with a list of banned sales and marketing tactics that was agreed to by Britain's biggest mobile phone companies last July. 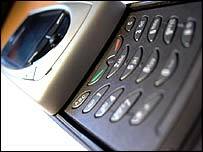 One of its aims was to end the inaccurate information for shoppers when buying a new mobile phone contract. But complaints have continued to rise. Ofcom said "unacceptable practices" by some mobile phone companies and third-party agents had led to proposals for mandatory rules. "Strong competition is no excuse for marketing malpractice," said Ofcom chief executive Ed Richards. "We warned the industry last year that unless it cleaned up its act we would consider introducing new rules. "The facts show that this has not happened, so we are now proposing tougher measures to protect consumers from unacceptable sales and marketing practices." It is proposing a general condition for mobile operators "not to engage in dishonest, misleading or deceptive conduct" and to ensure those selling their products and services do the same. It also covers fair terms and conditions on cashback deals, correct information at the point of sale, and that mobile companies conduct checks on retailers. Any company found to be breaching the new condition could be fined up to 10% of turnover. Ofcom is consulting on the plans which it wants in place by the summer. Consumer group Which? has previously called for mobile phone cashback offers to be banned, unless the cashback comes automatically. What can your mobile do for you?